From cozy homes to executive rentals, we help people find the best real estate property to fit their needs. 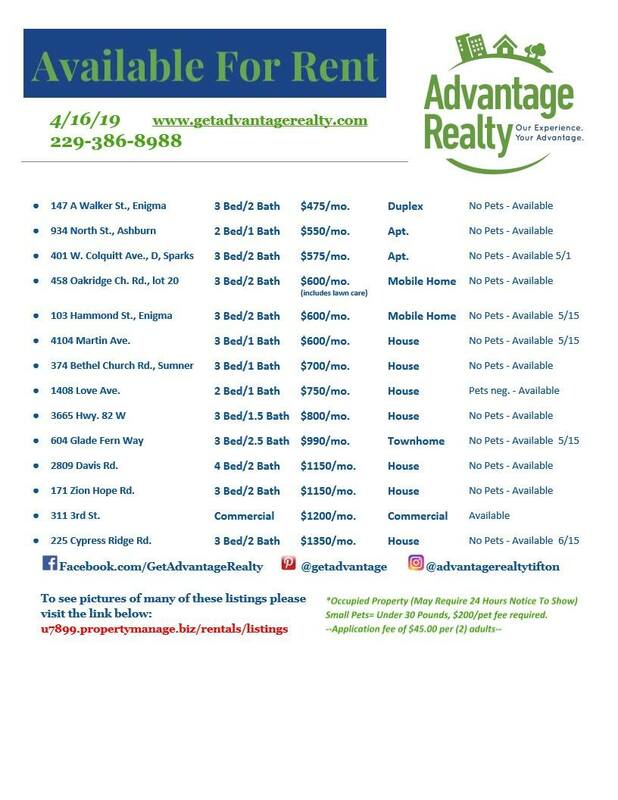 Advantage Realty was created in February 2007 by Julie Smith and Melissa Brock, each having years of experience working with other real estate companies. Need information about Tifton and Tift County? From city and county information to hospital, chamber, tourism and more, find everything local right here.